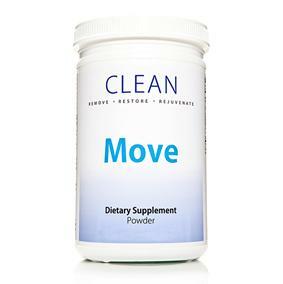 Weight Loss Tips: Have You Tried the Move and Nourish Powders that Gwyneth Used? In Gwyneth’s recent GOOP newsletter, she told us exactly how she got in the best shape of her life for her Iron Man 2 role and appearances. Not many celebrities are cool enough to share their exact plans making her a fav! Gwyneth shares her weight loss tips and how to drop a few pounds in a hurry with the help of the clean program and her trainer. In one of her previous newsletters, Gwyneth shared her weight loss tips with the scoop on the Clean detox program. She shared that she did it to get rid of some extra weight she’d gained in a 21 day detox plan that left her feeling lighter and better but without the extremity of an all-liquid detox. 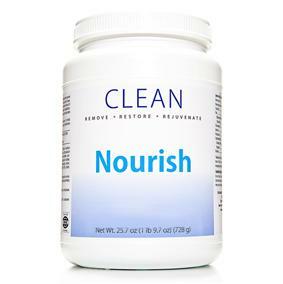 The doctor behind the clean program and the move and nourish powders and the clean program detox is Dr. Alejandro Junger. He created the plan because of his own experience after medical school, when his own weight gain left him feeling depressed and not himself. After many doctors visits and the diagnosis that his brain was not producing enough serotonin and tons of prescription meds offered, he decided that wasn’t for him. Brain altering drugs weren't what the doctor had in mind for weight loss. He went to a clinic and did a 2-week juice detox and lost the weight and felt amazing and looked 10 years younger. He later created his 3 week cleanse program. The clean detox cleansing program isn’t cheap. It’s $350 + shipping currently but you can buy clean products individually if you want to utilize the move and nourish powders that Gwyneth uses in her five-day quickie diet. Or, if you want to try something different and cheaper - you can check out the hemp protein powder that I use in place of the nourish powder here. At the end of the post, I list a few more affordable options to use as alternatives to the nourish and move powders. The Nourish powder is a medical food with rice carbohydrates, loaded with antioxidants and nutrients to serve as a healthy protein during your diet. It is to be used in smoothies or shakes like those on Gwyneth’s five day diet. Nourish powder is available in two flavors – a chocolate orange nourish powder or a tropical mango powder. The Nourish and Move powders work well together to make for a good weight loss and health detox jump starter. The Move powder is a high fiber powder that works with the nourish powder to encourage healthy bowel movements during your detoxification diet. With low allergy potential and high fiber from various sources, this addition to your weight loss shakes and smoothies is invaluable. If money is preventing you from purchasing the nourish and move powders, consider substituting them with similar products. Of the weight loss tips I've gotten, one of the best is to not let obstacles stand in your way. Starting immediately while you have momentum is one of the tips worth following. I use a hemp protein powder that I'm really happy with. It has tons of health benefits and is really delicious in the morning smoothie recipe that Gwyneth does. This is it, click here. Or, look for other affordable protein powders with healthy nutrients and protein. I list a couple of sources at the bottom of the post that are well priced alternatives that I found. Instead of the move powder, find a substitute fiber powder at your local grocery or health food store to help with your cleansing process. Nourish and move powders by Dr. Alejandro Junger are definitely ideal but if budget or schedule prohibits that, don't let it stop you from doing the five-day cleanse - substitute the best you can! However, if you can do it, follow Gwyneth’s exact plan use her weight loss tips - she obviously got results. Get the move and nourish powders from the source or do your own clean program 21 day detox now to jump-start your weight loss. Check out my other posts on the right for more info and tips on Gwyneth’s five-day diet, her Iron Man 2 workout plan, the video workout (which is amazing) or any of the Tracy Anderson workouts and diet plans. Hemp Protein Powder , Sun Warrior Vanilla Powder . Good luck! For more weight loss tips check out other posts on how to lose weight fast and easy. If you are new to the TA Method, check out The NEW Book - Tracy Anderson's 30- Day Method. Have you found alternatives to the move and nourish powders that Gwyneth Paltrow used for your cleansing?